The healing effect of the Dead Sea has been known for many years. As a wellness destination Jordan benefits from the properties of the Dead Sea. The sea, actually a closed lake fed by the Jordan River, is known for its high salinity and concentration of minerals. Many visitors enjoy bathing in the Dead Sea and allowing themselves to be supported by the salty water.This relaxing experience is definitely one of a kind. 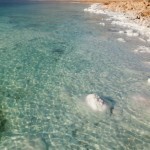 In addition, there are numerous minerals in the water of the Dead Sea, which have a positive effect on skin condition. 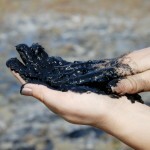 The sea mud is also used to treat arthritic and rheumatic conditions. If you decide to go for a spa holiday in Jordan, you are investing in the health of your body and soul. The mainly dry and sunny climate ensures a pleasant experience both in winter and in summer. A light and cooling breeze blows all day long, and the temperatures at night are pleasant for sleeping. Jordan is destined for wellness holidays by its very nature. Alongside the healing water of the Dead Sea, the country has many rugged mountain landscapes, through which streams of mineral-rich water pass. Their healing and nourishing strength has been well-known for thousands of years. As a traveller, you are a guest in a foreign land and should adapt to local practices out of respect to the country and its people. In order to avoid misunderstandings from the outset, we have some tips for you on how to behave on a spa holiday in Jordan. Firstly, you should ensure you wear appropriate clothing if you go out in public. On the beach and at the swimming pool, as well as at various spa treatments, shorts and loose clothing are of course permitted, but outside these areas, men should avoid wearing shorts in public. In the eyes of Jordanians it is silly for a man to wear shorts. Consequently, you should always go for long trousers. For women: it is better to wear too much clothing than too little. You don’t need to completely cover your body, but should nevertheless ensure that your legs are covered up to the knees and your arms are covered to the elbows. As in all Arab countries, women should not dress too liberally or strikingly. Indeed, although western styles of clothing are commonplace in the cities, visitors in decent clothing will often be receive more respect. In Jordan it is also not customary to display affection in public. Hence, couples should refrain from affectionate behaviour. If you would like to take a wellness holiday in Jordan, look out for particular behavioural rules during Ramadan. The month of fasting is a special time for Muslims. From sunrise to sunset they refrain from eating, drinking and smoking. Obviously as a guest in this country you do not have to fast, but you should avoid eating in public as much as possible. Naturally, in tourist centres you can receive food and drink. Photography is subject to certain restrictions in Jordan. For example, it is not permitted to take photos of any military buildings. If you would like to photograph people, be polite and ask permission first. Not everyone wants to be photographed. As far as possible, you should avoid disturbing people praying, and follow the rules for desired behaviour. By the way: Jordanians are known for their hospitality. If you are invited to dinner, use your right hand to eat. As the left hand is traditionally seen as unclean, Jordanians eat with the right hand. 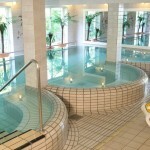 Would you like to experience a spa holiday and the healing strength of the waters in Jordan? Numerous hotels and other forms of holiday accommodations specialise in wellness, offering diverse spa treatments, meditation courses and much more in order to provide guests with pure relaxation. You can introduce exciting variety to your spa holiday in Jordan by visiting famous sites such as Petra, the city cut from rock, and Wadi Rum valley, or the Sea of Galilee. 4.67 out of 5 points, based on 3 votes.